Recently, there was a bit of a discussion on a local social network forum. Somebody had been using one of those ‘build your own site whilst mowing the garden’ type of services (now these can be good, but that’s another blog post). Getting back to this post the person in question was asking if they should move over to wordpress. Amongst the well thought out and well meaning contributions was something along the lines of ‘google loves wordpress‘. On one, somewhat misleading level this is right. On several others of course it’s just that. Misleading. It gives the impression that if you use wordpress you’ll rank high in google. This is wrong. It gives the idea that using wordpress is the best bet for your website. This can be wrong too. It suggests that wordpress and google have ‘something going on’ which is also wrong. It suggests that wordpress might have some ‘magic formula’ that will ‘take care of your search engine needs for you.’ Guess what, this is wrong. Probably! WordPress, has been very well put together of course – I use it for about three quarters of my clients. It fits their needs, is highly customisable and so on and on. And if set up well, it will wont hinder google in its work. 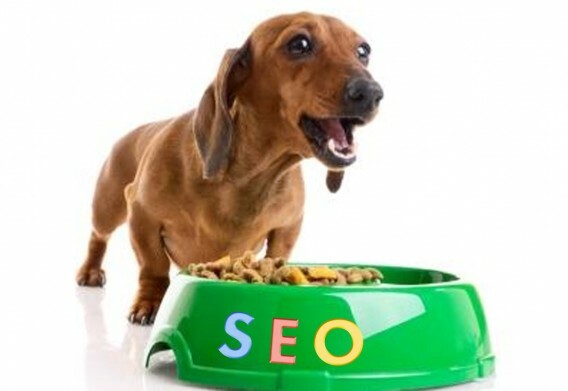 Despite the supposed ‘ease’ of using wordpres you can still create your own ‘seo dog’s dinner’ with it – I know, I have seen it. Sites put together so badly they hinder google in what it is trying to do. These sites may look good, but behind the scenes they have little chance of ranking well. I have talked to people who have swanky wordpress sites, and swanky wordpress SEO plugins but not the faintest idea what they are doing with them. The result, is sadly predictable. As far as I know there is no special relationship between google and wordpress, and wordpress have probably not worked out some magic formula that means that google loves them. You have probably guessed by now where this is going. If your site is set up well, it doesn’t matter what platform is used – wordpress, joomla, php etc. It will rank well in search engines (all things being equal). And of course the reverse is true – you can make it harder for a search engines to engage with your content. Exactly. It’s your hard, thoughtful work that brings the results you see. This is an interesting read and an important read for people who use a WordPress site. I love my new website and whilst I would love a magic formula to exist, I think people need to be more aware that they are largely responsible for what appears in a Google search. Just having a WordPress site will not give you an automatic higher ranking. It is a work in progress for me I find it all very fascinating!